She had heard the talk in the yards; a direwolf dead in the snow, a broken antler in its throat. Dread coiled within her like a snake, but she forced herself to smile at this man she loved, this man who put no faith in signs. How much faith will you place in the signs before you? Will you believe they carry meaning and that you can understand them? Will you change your behaviors as a result of the signs you discover? Or will you place your faith not in the signs of a changing world, but within your ability to forge ahead and master all that you encounter? 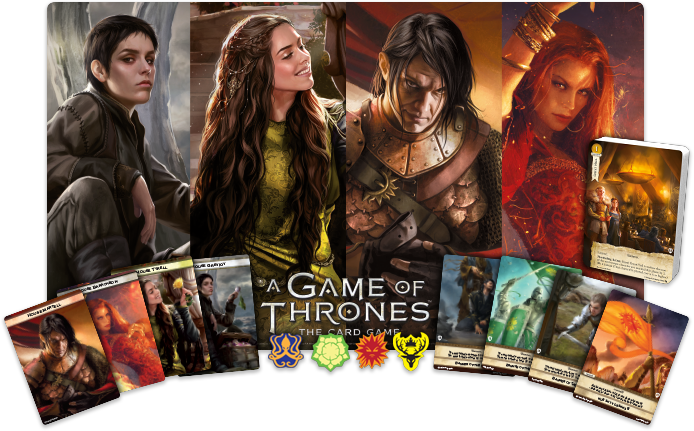 Thanks to the introduction of the Rookery variant for A Game of Thrones: The Card Game, these are questions that carry an unprecedented weight, especially as we celebrate the flexibility it brings to the ongoing series of Great Hall events! In the Rookery variant (pdf, 3.1 MB), you bring not only your draw deck and plot deck, but also a Rookery that contains as many as twelve cards, which you can swap for the cards in your draw deck or plot deck as soon as you see your opponent's faction and agenda. A hint of The Wars to Come? Time to visit the rookery! In this way, you can respond to the early signs of your opponent's strategy. But will you? 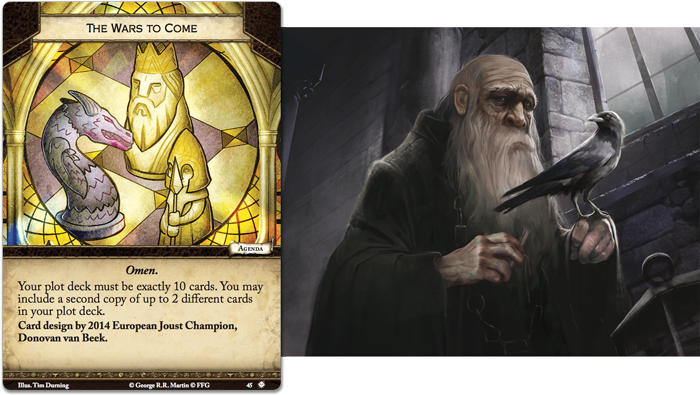 When you play with the Rookery variant at your Great Hall event, will you put your faith in signs? Will you expect duplicity and treachery? How will you respond? The year's greatest showcase for the game's Rookery variant, the Great Hall event is your chance to demonstrate your ability to read signs—and to discern false signs from the true ones. There's plenty of reason to play with the Rookery variant throughout the year, but the Great Hall event adds yet another: prizes. The Great Hall prizes are themed around the event's four featured factions—Baratheon, Greyjoy, Martell, and Tyrell—and were announced back in April when we introduced the Rookery event. Now, at last, you'll be able to go to your favorite local game store and compete for the alternate art Great Hall, custom faction cards, acrylic faction tokens, and winner's playmat. It's worth a reminder, as well, that the Great Hall event comes with one additional wrinkle. Not only does it use the Rookery variant, but it also comes with additional deckbuilding requirements focused around the event's four featured factions. You may bring a deck for one of the four featured factions (Baratheon, Greyjoy, Martell, or Tyrell) and cannot use a banner agenda from the other three featured factions. You may play one of the four non-featured factions (Lannister, Night's Watch, Stark, or Targaryen) and must use a banner agenda from one of the four featured factions. These deckbuilding restrictions are central to the event's identity and tie directly into the prize distribution. At the Great Hall event, prizes are awarded to the Top 32 participants and the winner, as you would expect at any tournament. But from there, things take a twist. The remaining prizes are not awarded according to players' overall status, but to their support of the four featured factions. The Top 2 players representing each faction gain the tokens, and the Top 4 players representing each faction gain the alternate faction cards. This means the Great Hall event is more than a chance to plot and scheme with all the tools at your disposal—and a few you've kept set aside for just such an occasion; it's one of the year's best chances to raise your banner in support of your favorite faction—and to be rewarded for your fealty! 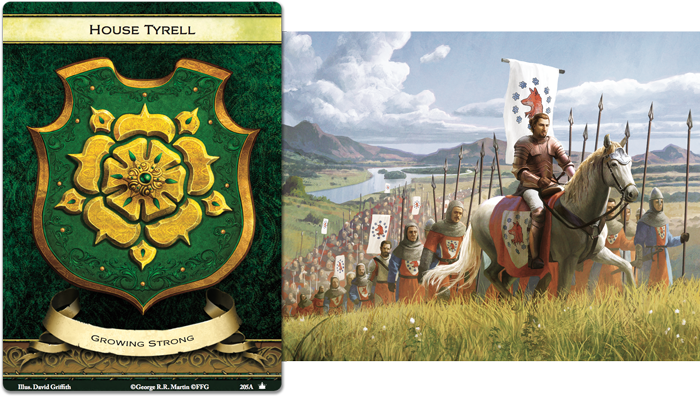 To which faction will you lend your banners? The plots at the Great Hall event run deeper and darker than ever, making it all the more important to identify your opponent's strategy and react accordingly. Explore the challenges of the Rookery variant, raise your banner for one of the four featured factions, and compete for exclusive prizes. The Great Hall event is your chance to enjoy a novel take on the only game that matters, so review our list of participating retailers to find a Great Hall event near you!